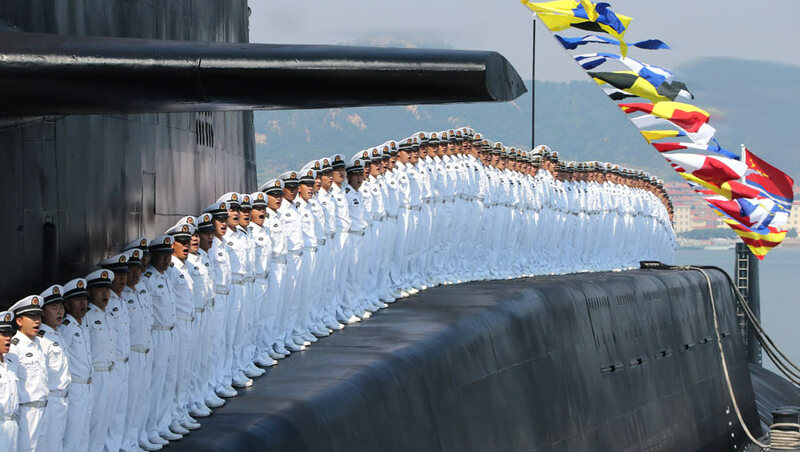 Sailors stand at attention on the nuclear submarine, stationed at the Qingdao base. China’s nuclear submarine fleet has had a remarkable safety record for more than 40 years and gained rich experience through rigorous training and drills, its fleet commanders said. “We are China’s first nuclear submarine force, and the 42 years since our establishment have witnessed our success in avoiding nuclear accidents,” Rear Admiral Gao Feng, commander of one of the People’s Liberation Army navy’s submarine bases, told reporters during a rare open house in Qingdao. 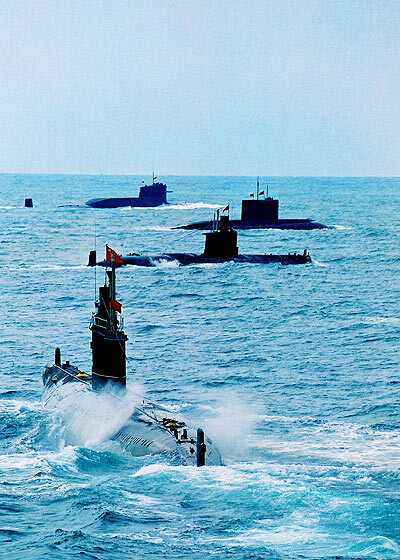 China’s nuclear submarine conducts a drill with other submarines. This is a tremendous achievement because almost all of the other naval powers in the world, including the United States and Russia, have had nuclear accidents on nuclear submarines, Gao said. 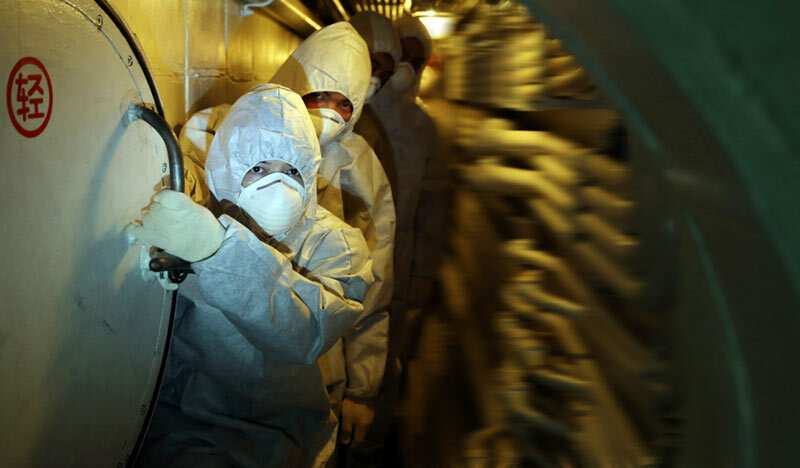 Senior Captain Jin Xupu, deputy chief of staff of the base, said nuclear reactors at nuclear submarines are much more sophisticated than those used in nuclear power stations and require higher safety standards. Jin said crewmembers on nuclear submarines must be able to respond quickly and promptly to any kind of contingency, such as a steam leak or fire. 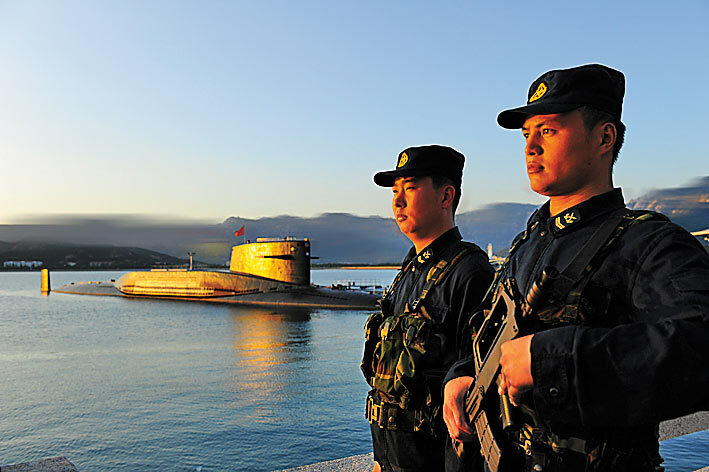 When stationed in the base, captains and their crewmembers must check equipment on the boat on a weekly basis so that hazards can be discovered and fixed before the submarine leaves the base, said Peng Weihua, head of equipment supervision at the Qingdao base. Ever since it was founded, the elite unit has been maintaining a low profile. Military observers and analysts have had few opportunities to look inside the deterrence force. The official debut of the fleet was in 2009, when the PLA navy celebrated the 60th anniversary of its founding with a spectacular parade that included warships from China and 14 other nations. Two nuclear submarines of the Chinese navy led the parade and attracted much attention from the international media and the public, with many foreign military observers speculating that China’s nuclear submarine force had become strong and confident enough to show its muscle. However, the force had chosen to continue a low profile until a recent open house for Chinese journalists. “After more than 40 years of development, now is the time for us to show the world our determination and ability to safeguard peace and tell our people about this ‘mysterious’ force,” said Rear Admiral Li Yanming, political commissar of the Qingdao base. With China’s advancements in technological and manufacturing capabilities together with the increasing investment in arsenal modernization, the nuclear submarine fleet has made huge strides in its long-distance patrol trainings, senior officers said. Moreover, the training and drills are designed for and simulate actual combat, leading to submariners being well prepared for any situation, he said. Gao’s remarks were endorsed by retired commanders. 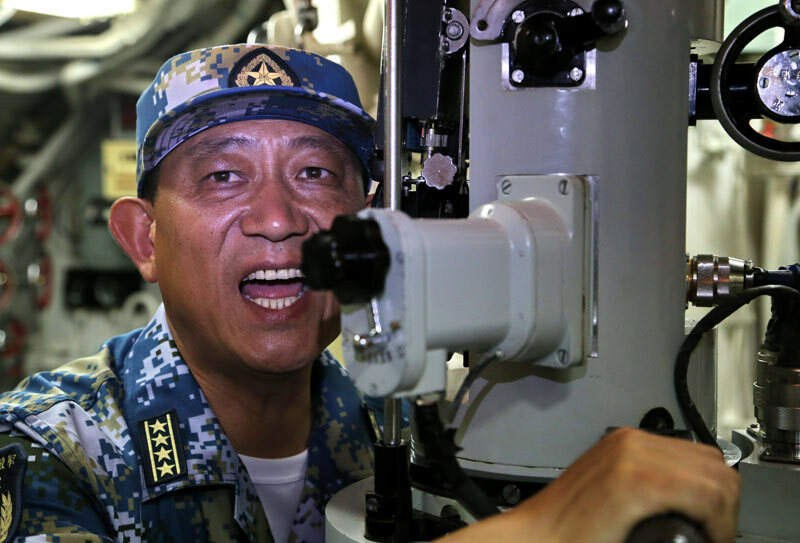 Qu said he has received several foreign military delegations that have visited Chinese nuclear submarines, and they all spoke highly of the crewmembers’ performance. 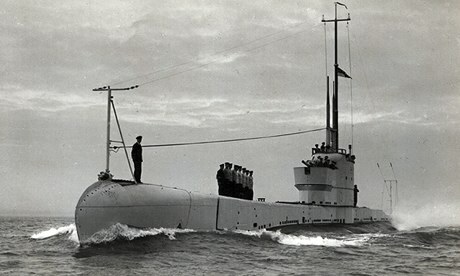 Although he is unable to compare the skills and abilities of foreign submarines’ crewmembers with his own submariners, “I am convinced our men are able to rival any of their foreign counterparts”. He said the world record for longest voyage of submarine, 90 days, was set by one of his boats, and the distance it traveled is one and a half times the length of the equator. Wang Ping, a retired officer at the base who had been political commissar on a nuclear submarine, said he had taken part in receiving a visiting delegation of French naval officers. “Back then, our vessel and equipment were backward compared with theirs, but they were impressed by the good condition of our equipment and my officers’ excellent ability to operate and maintain them,” he said. Officers said their dreams have become realities as more advanced submarines and weapons are delivered to them. “When I first joined the nuclear submarine force, becoming a captain was my dream,” said Senior Captain Yang Su, deputy commander of the base. This entry was posted in The world's submarines and tagged China, People's Liberation Army, PLA, Qingdao base, Submarine on October 30, 2013 by jasonlockley. Admiralty Shipyards this year will hand over to the Vietnam Navy, the first of the six diesel-electric submarines of Project 636 Varshavyanka. “The tests have been completed. The delivery of product signing is scheduled in early November this year. In late January 2014, the submarine will be sent to Cam Ranh and the final minutes of the receipt of goods will be signed,” a spokesman for the shipyard said. Earlier, the “Kanwa Defense Review” magazine, dated November, made an exclusive interview with Deputy Director of RUBUN Design Bureau (Russia), Mr. Andrey Baranov, who said that the manufacturing of the six Kilo 636 class submarines for Vietnam was progressing very smoothly. 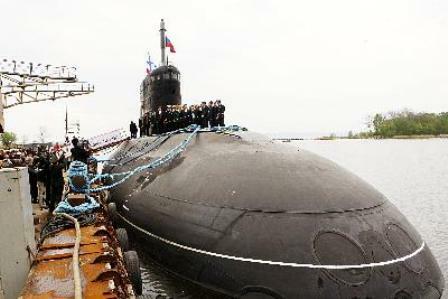 Under the plan, in 2014 Russia will hand over a 636 Kilo class submarine to Vietnam, three others in 2015 and the last two in 2016. These boats are equipped with more modern technology than the submarines of the same type of the Chinese navy. This entry was posted in The world's submarines and tagged 636 kilo, Hanoi, Russia, Submarine, Varshavyanka, Vietnam on October 24, 2013 by jasonlockley. HEALTH and safety inspectors and police are continuing the investigate the death of a dockyard worker at Devonport yesterday. Officers from Devon and Cornwall police are leading the enquiry into the death of the 57-year-old civilian. The man, who was from the Newton Abbot area, was killed when he was operating a cherry picker on a laid up submarine. A spokesman for Devon and Cornwall police said: “Just before 1pm on Monday, October 21 officers were called to Devonport Dockyard following the report of an industrial accident. “As a result of the incident, a 57-year old male sadly died at the scene. His next of kin has been informed. It’s understood that the police will lead the investigation before fully handing the case over to the HSE if they do not establish any grounds for prosecution. 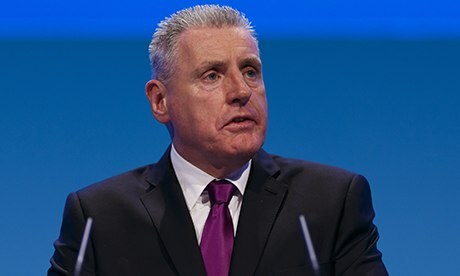 The HSE will then wait for the inquest to conclude before continuing an independent investigation to establish if any health and safety laws have been breached. A spokesman for the Health and Safety Executive said: “We are looking into the latest incident. “Devon and Cornwall police are leading the investigation. The man, who has not been named, was a civian who worked for Babcock Marine. The dockyard operator released a statment shortly after news of the incident broke. This entry was posted in UK Submarines and tagged 8 dock, Babcock, Devonport, Health and Safety Executive, Industrial Accident, Submarine on October 22, 2013 by jasonlockley. A DEFENCE contractor for naval submarines impressed a Portsmouth MP with its equipment and standards of work. Penny Mordaunt, Portsmouth North MP, visited Atmosphere Control International and was given a tour of its headquarters. The business, based in Williams Road, in Hilsea, makes air purification equipment for UK nuclear submarines allowing the sailors to breathe for months in their underwater vessel. Its life support systems allow the submarines to obtain oxygen from the sea but it also makes gas management systems to dispose of unwanted gases such as hydrogen, carbon dioxide and carbon monoxide. In the 1970s, the business was put on the Royal Navy’s nuclear submarines programme. The main challenge to overcome for the programme was how to maintain a breathable atmosphere onboard the submarine over a period of several months without servicing or using a snorkel. Now, the company is supplying all UK submarines as well as many overseas nuclear and conventional submarines. Ms Mordaunt said: ‘Atmosphere Control International is a really incredible place and a great company. ‘I realised this morning that the last time an MP has been to look around was the 1980s so a lot has changed since then. ‘I was really pleased that I was able to see them because they do some amazing work. Ms Mordaunt found the whole experience helpful as she is working on the Defence Reform Bill. By seeing behind the scenes, the MP said it gave her a better understanding of what businesses need and the standards of equipment they have. She added: ‘It was very very helpful and it was great for me to see what happens at a successful supply chain. ‘We often see and hear about BAE Systems but it’s not very often that you get to learn about the smaller ones and see how they are coping and what sort of equipment they have. ‘I was very impressed with the standard of equipment but they need to keep up to date as the submarines change so the reform bill is really important for things like that. This entry was posted in The world's submarines, UK Submarines and tagged Atmosphere Control International, Portsmouth, Steve Cassidy on October 11, 2013 by jasonlockley.